The Beaumont Arms is a traditional Northern pub with character and charm, where there is always something going on, including live television, sports and live music. It is also an excellent venue in Bolton to host an event. And they've just got another thing to make them even better . . . Mr. Gary Patterson. Gary isn't a local customer that has won a drinking competition. He's not even a new type of beer that makes you live longer. And he's not the new resident animal. No, Gary is the new head chef at The Beaumont Arms, cooking up some delicious new dishes from their brand new menu. Having trained in London and Switzerland as a youngster under the guidance of Anton Mossiman, Gary spent time doing the rounds in the Lake District, honing his skills at Sharrow Bay (Ullswater), Wild Boar (Crook) and Underscar Manor (Keswick). 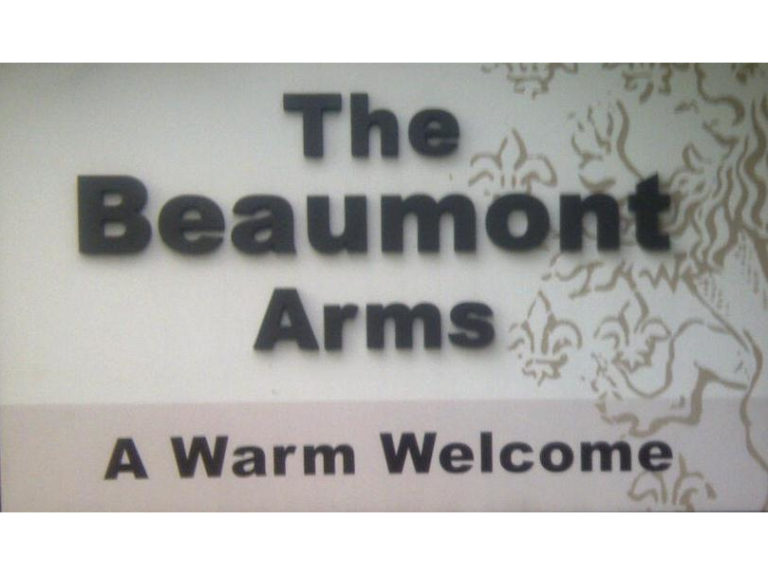 After a spell in Berkshire at Elcot Park Hotel (Newbury), he decided to join The Beaumont Arms and lead their newesy venture. Gary had the following to say on his appointment: "Here at The Beaumont, I have created a menu using locally-sourced ingredients that combine traditional pub favourites such as Pie of the Day, Lasagne and Curry, together with something a little different such as Marinated Red Chilli Chicken Farfalle." And that is what Gary would like to make clear. Yes, he is making food, and, yes, it is being served in a pub. But it is not pub food. It is freshly produced goodness using local ingredients to make the best dishes possible, from the existing favourites to adventurous cuisines. The Beaumont are thrilled to have him: "We are delighted to have Gary on board, he has a natural flair for creating dishes that appeal to a wide range of tastes. Our customers can enjoy resteraunt quality dishes at pub prices. Gary has also created gluton-free meals as well as vegetarian options." And as for the most popular dish on the menu so far? "That’s a difficult one," Gary said. "The hand-made, 8oz Beaumont Burger is proving to be a big success, but the Bury Black Pudding resting on a potato cake is a must have." If you'd like more information on The Beaumont Arms or their fantastic new menu and head chef, give them a call on (01204) 684437, or visit their feature page on thebestof Bolton site, located here.